We all have something within us that recognizes a beautiful boat. Walking the docks and admiring the lineup, there are only a few that stand out as truly special, memorable boats. They aren’t just pretty—they are vessels for which no detail is overlooked. Down to the perfectly timed screw head and beautiful, fare lines, nothing goes without attention. These are the boats we take pride in. We believe that in boatbuilding, perfection is something to never stop striving for. Winter yachts are superior because we are never satisfied with what has worked well in the past, we are always working for more. Everything remarkable begins with a dream. Magnificence is not easily obtained, nor does it come from mediocrity; this is where your dream of a custom boat begin. 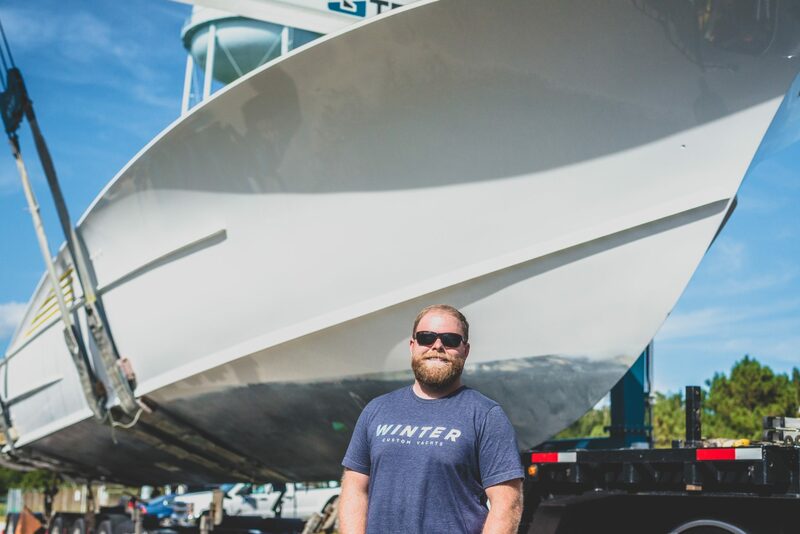 For you, the dream may have come naturally after countless hours on the water, or like the rest of our clients, you simply appreciate quality, custom-built boats and desire one for yourself. The dream unfolds through creative stages, which elevate the process above pre-fabricated manufacturing. Our desire is to fulfill your dream by taking your ideas, thoughts, and visions and make your dream custom-built boat a reality. No one else’s boat, but yours. The journey begins with us gathering crucial information from you so we can better understand the applications for which your boat will be used. These early conversations ensure we deliver a custom boat that will exceed your expectations. The design process kicks off with a consultation with Tim Winters, where line drawings are created using arrangements that fit your needs. The developed concept is then handed off to Jesse Rhodes of Rhodes Yacht Design. Jesse and his team develop three-dimensional models of the hull and exterior surfaces. Once the exterior shapes and structures are created, the model is peeled back and the inner working layers are built out. After this process is complete, you are presented with full renderings—a glimpse through the window into exactly how your new vessel will look. Each boat is engineered to turn heads, get looks, and exceed performance standards. With each level of design, you are personally involved to make sure we are creating exactly what you want. We utilize the cold-molded method as our primary form of hull construction. 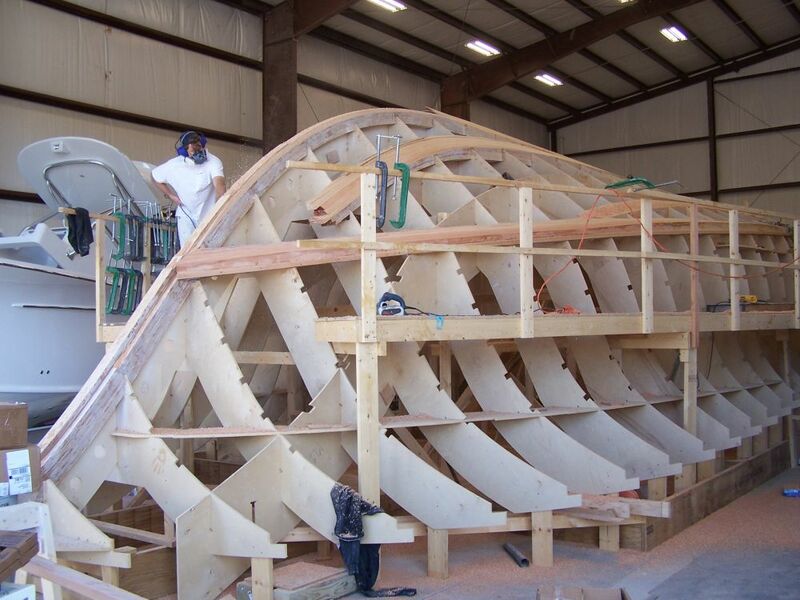 Typical hull construction is built from multiple layers of plywood encapsulated in fiberglass or Kevlar. 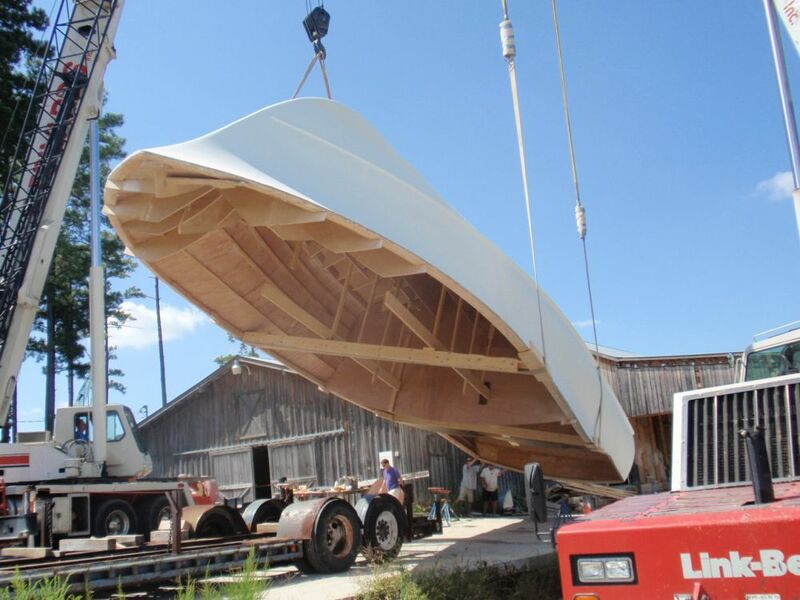 Each hull is laid up on a plywood jig that is developed directly from the three-dimensional models created by Rhodes Yacht Design and cut out on a CNC machine. This method allows us to accurately build what was created on the computer model with extreme precision. As our team works away from the hull construction, we utilize more composite materials. The bulkheads and decks are laid up out of composite core infused with epoxy and fiberglass. Superstructures and parts are also laid up on jigs from the CNC machine and are constructed using a bead and cove method. Our craftsmen combine technology and old-world craftsmanship through each step to ensure we are building the finest boats on the water. During construction, we encourage you to be a part of the process. We send weekly updates, including pictures and videos, detailing the construction process and work accomplished. You will have direct contact with Tim, as well as your project manager, to guarantee every detail is being accommodated. Each vessel is built using the best of materials and standards to ensure the quality of the product. We pride ourselves on designing and fabricating every component of our boats. Each element is developed and built by our local machinist and fabricators. This affords us utmost control and guarantees we have limitless capabilities. 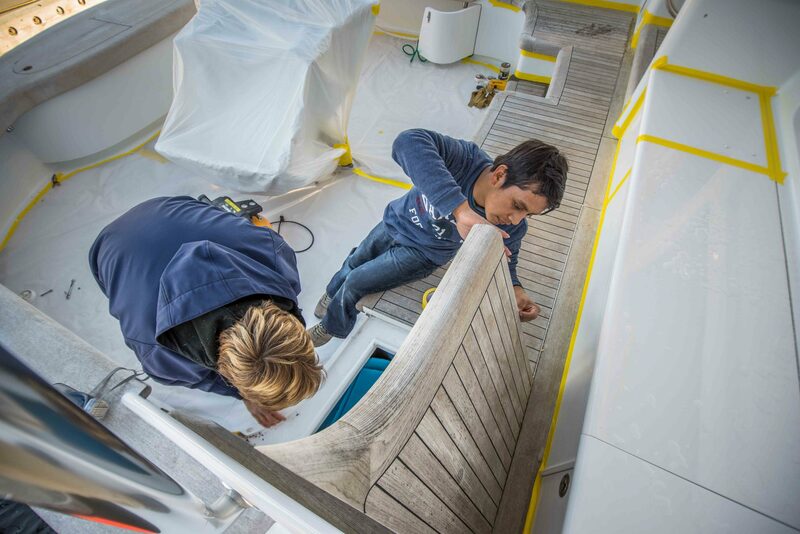 We strive to adhere to ABYC standards throughout the boat building process. Each Winter boat is designed and built with performance in mind. We are always striving to ensure that each boat will perform to the initial design requirements. We love speed and take every measure to ensure the craft can handle and maneuver as designed. We not only want the boat to be fast, we want it to be sea-worthy. Our builders have perfected our bottoms for optimal performance in all weather. We always do our best to be there for you no matter where you are or your situation. We now offer a full-service yard in Swansboro, NC to better support you on the water. When you own a Winter, you are our priority and we make sure you have what you need, when you need it. When you buy a Winter Custom Yacht, you are not only making an investment, you are joining the Winter family. We are fully committed to giving you the custom boat of your dreams.